Apex, you do great work. 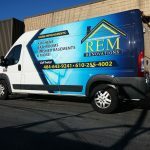 Enhance your current marketing efforts by using custom vehicle wraps designed and produced by Apex Signs & Graphics, Inc.. 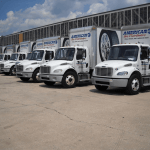 Numerous companies rely on vehicles for transportation purposes. 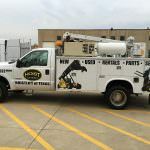 Some of these companies use the vehicles to deliver items to the customers who’ve made purchases while others use them to hold onto supplies they’ll need to have when working on a customer’s home. 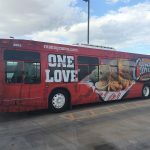 If you have a beautiful wrap explicitly customized for your vehicle with essential details about your business, you will quickly enhance your marketing efforts and spread the word even further to the public. 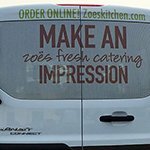 While traveling around in your vehicle, you will have a chance to expose people to your marketing message. 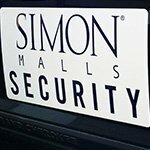 Whether they walk past or drive past your vehicle, they will notice the beautiful designs on it. When a person sees something that is visually appealing, they’ll usually take the time to read the information and might even write it down to learn more about the business online. Your vehicle could quickly reach hundreds of people on a daily basis. Call Apex Signs & Graphics, Inc. today at (847) 380-1944 for a Free Consultation with a Car Wrap Specialist! Regardless of where you drive your vehicle, you can get more of a reach by having a beautiful wrap added to the sides of it. If your vehicle doesn’t have anything on it, people aren’t going to know that you own a business and are trying to get new customers. 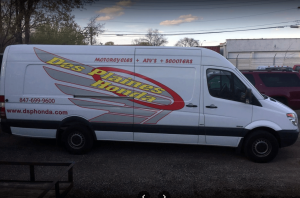 Driving with a custom wrap created by Apex Signs & Graphics, Inc. will make all the difference for you. While driving out on the road, people will start taking notice of your vehicle. Some people may see your car each day. Taking the same route, you drive to get to work. As a result, you may start getting all kinds of business from people who live in the area and from others who don’t live in the area but may travel to the area for work-related reasons. 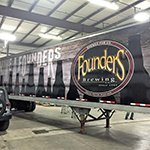 Wraps for vehicles are a great way to get additional exposure for a business without putting in a whole lot of extra effort. With so many other people sharing the road with you, there is always that possibility of reaching someone who could benefit from purchasing something from your business, whether it’s a specific product you sell or even a service you offer to customers. Each company has its message to spread to the consumers. 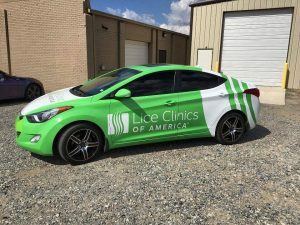 You need to make sure the wrap you have on your vehicle is expressing that message to the public so that they’ll be able to understand your business and its primary purpose better. It needs to make an impression on the people who will see the wrap because they’re walking by your car or even sharing the road with you. 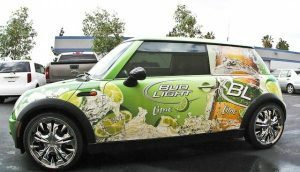 Apex Signs & Graphics, Inc.‘s wrap experts can create all the distinctive elements you need for your vehicle, including decorating wraps, magnets, and additional graphics. No matter the message you’re looking to tell, our team of experts can make sure you’re getting the message out loud and clear. Even if you don’t use a traditional vehicle, our experts can still help you. 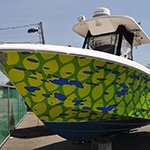 For example, we create wraps for vans, ATV’s, and even RV’s. You don’t need to have a traditional vehicle to get help from us. We’ll take the measurements and figure out the size of your vehicle before we get started with the developing process. 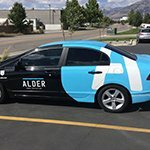 Apex Signs & Graphics, Inc. wants you to have a wrap for your vehicle that doesn’t just look good but also stands the test of time. 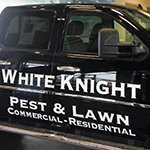 We use high-quality vinyl film that is designed to last in all weather conditions. We know you’re making an investment and you want that investment to work as hard as you do, we will create the eye-catching wrap to reach your customers while still protecting your vehicles original finish. 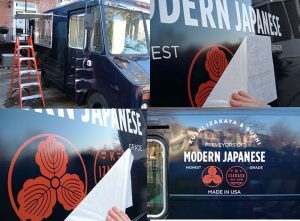 Our experts know how to install the vinyl graphics on vehicles of different sizes carefully and are with you from start to finish. 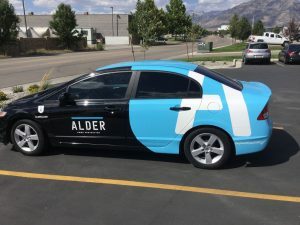 Apex Signs & Graphics, Inc. is aware of how important it is to have a wrap that fits perfectly on a vehicle and is applied the right way to keep it from coming off. 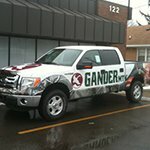 We’re passionate about vehicle wraps and are dedicated to serving our clients. We’ll consult with you, get some ideas going, and then keep you in the loop throughout the whole development process to ensure you’re in love with the design we’ve created for you. 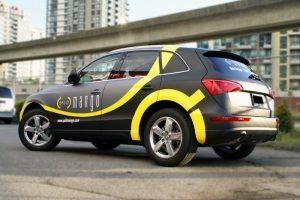 Aside from providing the perfect wraps, we can repair any damaged wraps and even remove old ones before replacing them with new and update options. 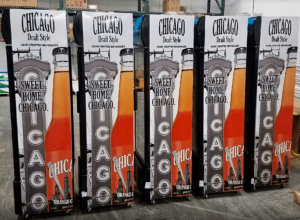 Apex Signs & Graphics, Inc. would like to make it easier for you to get new customers. 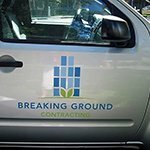 If you’re looking for a creative and effective way to get more exposure for the business you’re running, consider using our creative and beautifully designed vehicle wraps.